See monkeys in their natural habitat! 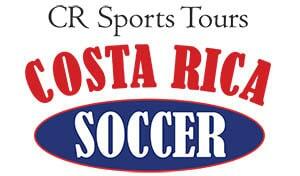 Teams are often surprised by exciting encounters with Costa Rican wildlife during their tours. 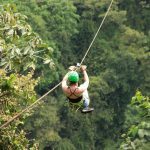 The white-faced Capuchin monkey, the black spider monkey, the Squirrel, and the Howler monkeys are a few of the most common ones spotted in Costa Rica. 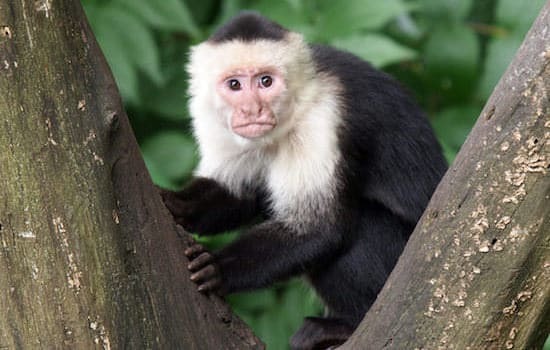 Capuchin monkeys hang out in groups of up to 40 monkeys and can live to be over 54 years old. These can be up to 6.5 feet long and can weigh up to 33 pounds. 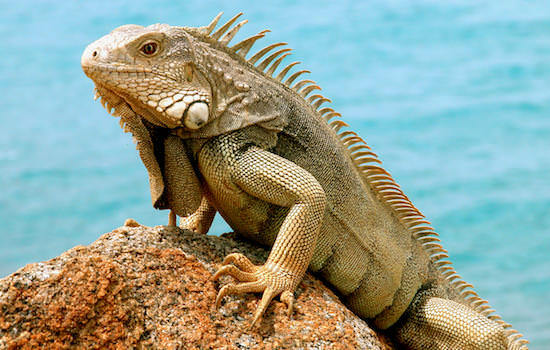 Despite their dragon-like appearance, iguanas are quite harmless – a vegetarian reptile with a fondness for leaves and fruit. 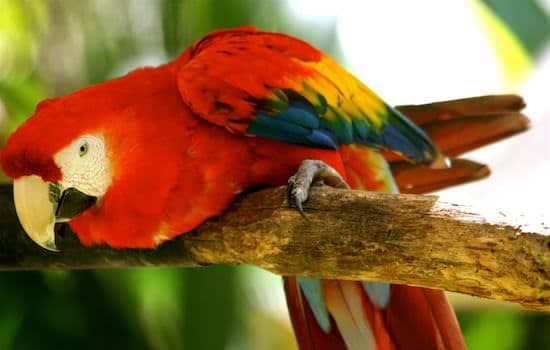 Macaws are a part of the parrot family and typically mate for life. The birds boast large, powerful beaks that easily crack nuts and seeds. Their scaly, dry tongues have a bone inside them that makes them an effective tool for tapping into fruits. Around 2,000 American crocodiles live in the Tárcoles River. 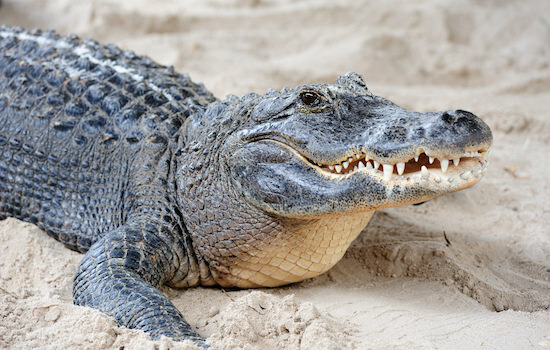 The average crocodile in Costa Rica measures about 13 to 16 ft. long. 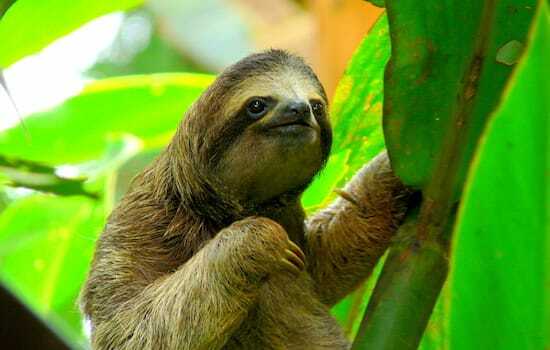 Costa Rica has two and three- toed sloths; they sleep an average of 18 hours a day. After a pregnancy of 7-10 months, a sloth baby is born; he clings to his mother for the first 6-9 months of life. Sloths are good swimmers. 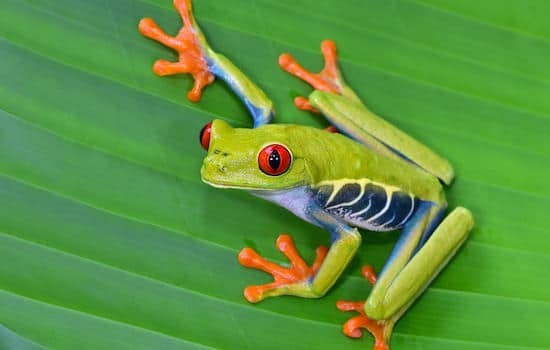 There are more than 100 species of exotic frogs in Costa Rica. This frog will jump at the slightest sign of danger. Depending on temperature and lighting, they can change from a light to a dark green.